Why Making Money with Workers? 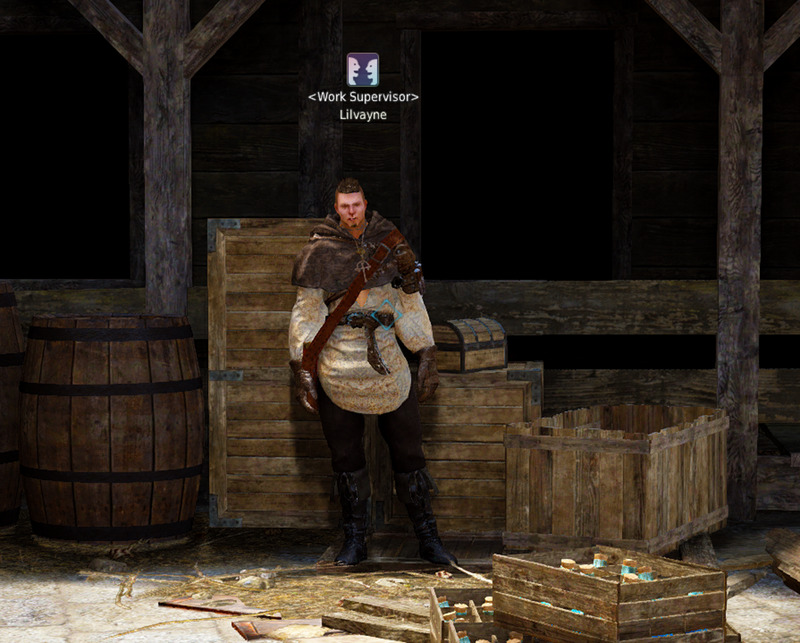 Having a steady stream of silver and materials which you do not actively need to earn is a truly helpful thing in Black Desert Online. 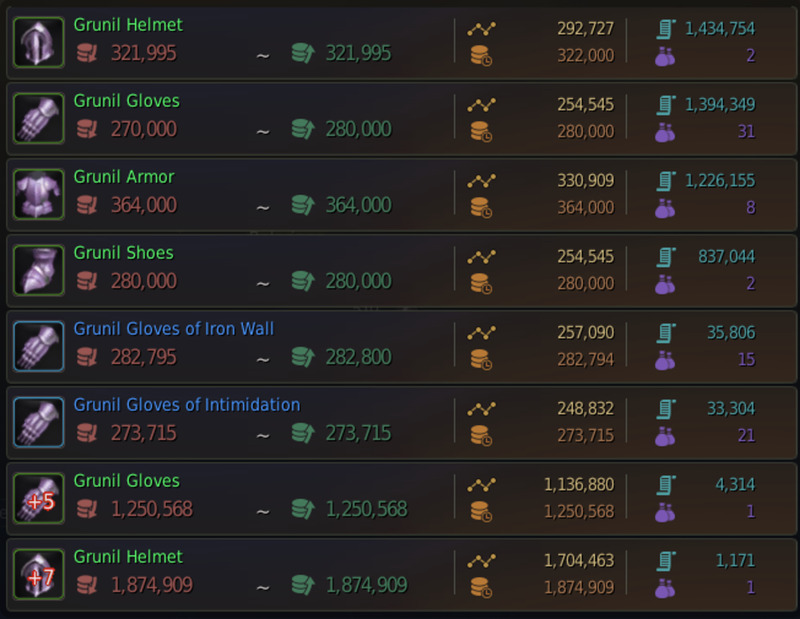 Workers are a great source of passive income and getting them early on can give a new player a decent boost of silver for those expensive black stones. 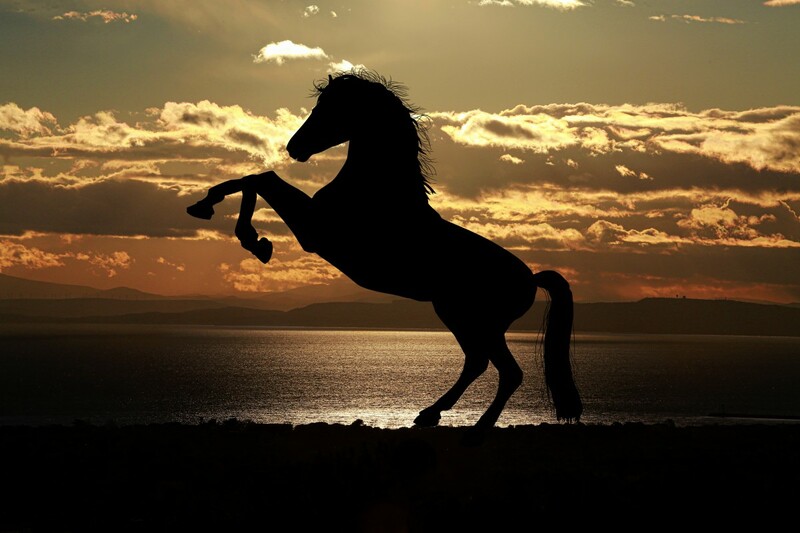 And while it will never be better than active grinding a strong passive source of income from workers would always supplement any other form of active silver generation. For this guide, I will assume that you already have a passing knowledge on how nodes and contribution points work. If not then you should read a few guides on those subjects and then come back here. With artisan workers being the best in terms of work speed, max stamina and possible skills. Don't be too concerned about only getting artisan workers at the beginning as you are able to promote them all the way from green to orange as they earn experience. At levels 10, 20 and 30 they are able to perform a promotion test and if successful they will get raised to the next tier at level 1. From my experience, a level 30 worker almost always succeeds in his promotion test but getting to level 30 is time-consuming at any tier. You also need to decide what race of worker you want. Personally, I prefer human workers as their stats suit my play style. 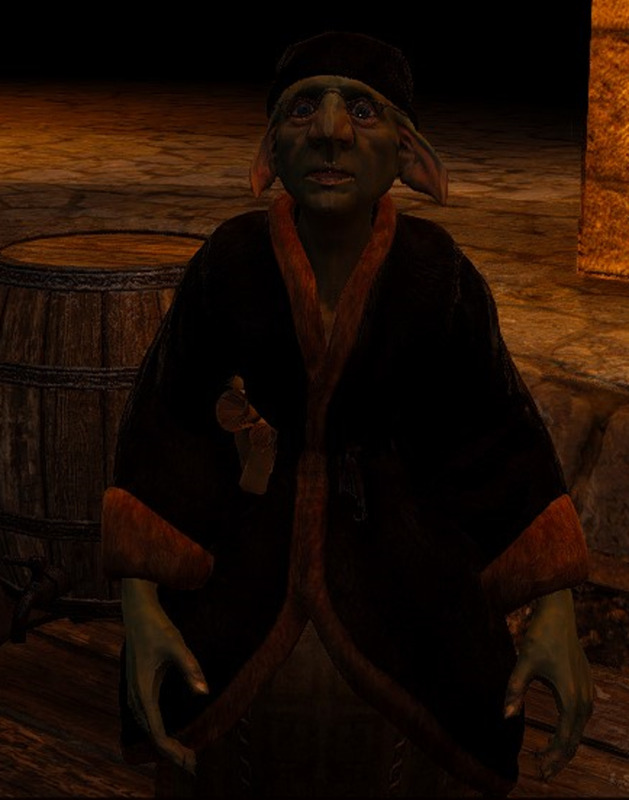 If you are almost never afk then goblins are probably your best choice as they have the fastest work speed but the lowest stamina, humans have an average work speed and stamina, while giants have high stamina and slow work speed which would be best to use if you tend to leave the game running 24/7. In some cases, humans are also able to gather extra materials, such as both eggs and chicken meat while goblins and giants can only get chicken meat from the same node. To be able to hire workers you first need to have lodgings available for the workers. Each town has a single free slot for workers but after that, you need to invest contribution points into houses that have lodgings for workers. When you have the lodgings necessary you need to find the worker supervisor in the town where you have the lodgings. If you talk to the worker supervisor you get two choices, either to open the worker exchange which is a place to buy workers, or you can get a workers contract which is the way you will be getting most of your workers. Whenever you ask for a worker it costs 5 energy and you get a randomly assigned worker which you can choose to hire or not. You should always refuse naive workers as they are terrible and you might also decide to ignore green workers, accepting only skilled or better. To be able to use the workers for passive income you need to invest into nodes that workers can gather materials from. When you have invested into a node you must direct your worker to start gathering materials from the node. You do so by clicking on the node, selecting a worker from the list, selecting the number of repeats ( I always chose 50.000) and then press start. The worker will now gather materials from this node until you either stop him or he runs out of stamina. To replenish a workers stamina you need to feed him worker food, the most common being beer. To get beer you either need to buy it of the market or make your own. The recipe for beer is simple, you only need 5 grains (potato, barley, wheat, corn), 1 sugar, 2 leavening agents and 6 water. The grains need to be gathered but the rest is bought from a tavern keeper. You will also need to buy a cooking utensil and invest in a residency were you can place the cooking utensil for use. Each beer will replenish 2 worker stamina. For a more detailed explanation you can read this guide on how to make beer, or you can watch the video below for a briefer version. The first worker nodes you are likely to encounter are located in the Balenos territory around Velia. 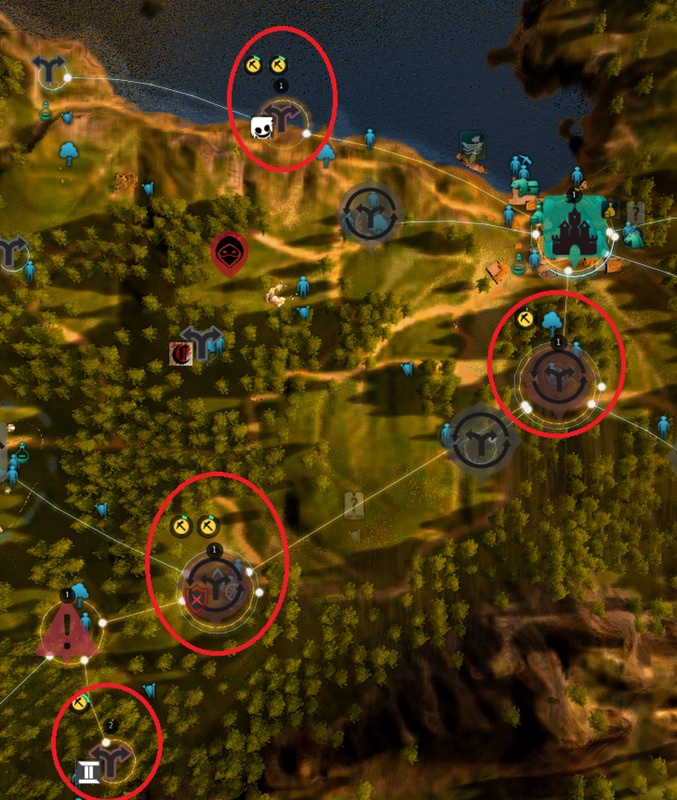 In the image below I show you the location of a few nodes I would recommend getting as they offer materials that will most likely always be in some demand. These nodes will give you corn and wheat which is necessary for cooking beer, iron ore and copper ore which are basic raw metals used widely and Powder of Darkness and Powder of Flame. There is also an excavation site which gives Trace of the Earth and Trace of Ascension. 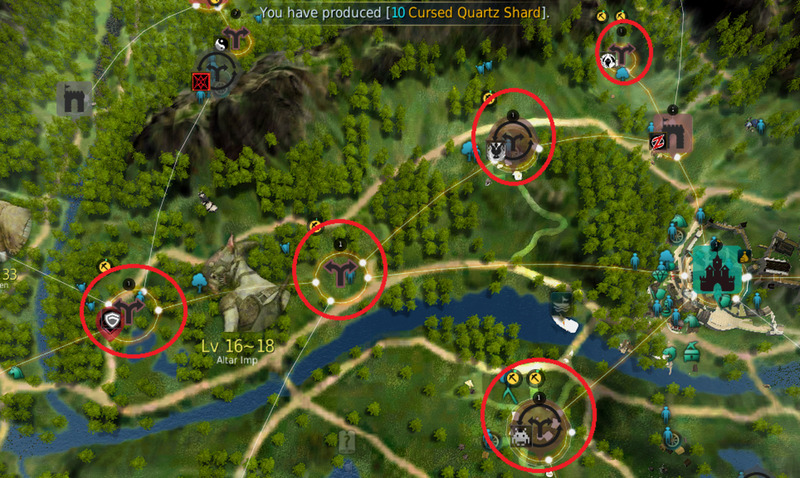 The reason for choosing only 6 nodes is due to the amount of lodging available in Velia, which has rooms for six workers. The total contribution points needed for these nodes and the lodgings for workers is 19. Investing Into Nodes Near Heidel. The next town you end up in will be Heidel. Here you have enough lodgings for all the workers you will need, so the main issue is to choose the nodes you wish to invest in. Again I have marked on a map the nodes I would recommend investing in at the start. As you can see I have again selected copper and iron ore mines for the same reasons as mentioned before and I have also selected the cooking honey node. Cooking honey is a raw material needed to produce Honey Wine, which can be turned into an imperial cooking item at cooking artisan level 1 that sells for 190.000 silver each. There is also the flax node that produces the raw materials for flax fiber which is used for making silver embroidered clothes and the Epheria sailboat. Flax also has the extra benefit of giving very good processing experience when processed. Finally, we have a node which gives maple timber and Red Tree Lumps and an excavation site with Trace of Savagery and Trace of Hunting. Yes, that's true, but Heidel is also a great place to start actively grinding for contribution points if you need them. 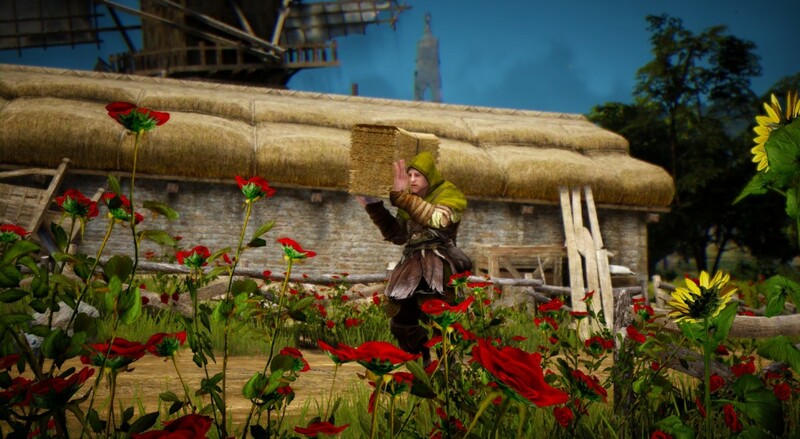 There are several contribution point missions in Heidel which reward 770 contribution points if they are all completed. These missions can be repeated each day and to complete them all takes about 10-15 minutes. You can see where they start and how they are done in the video below. Another thing to remember is that you do not need to have your towns connected together unless you are trading or want to use workers from another region. By carefully selecting which towns are connected you can save a few contribution points to use for worker nodes instead. At this point, you should be getting the gist of the basics. Get contribution points, invest into lodgings and worker nodes, have your workers gather material and occasionally cook some beer for your workers. You can continue like this for the other towns, such as Glish, Calpheon, Epheria, Trent, Altinova and so forth. Getting lodgings, hiring workers and selecting worker nodes to gather from. This is just fine and will reward you with lots of silver as your worker empire grows. But if you want to get as much silver as possible from your workers you will need to start optimizing them depending on the value of their output. I cannot simply tell you what nodes are best as this changes with market price fluctuations so what you need to do is to start actively looking at market prices, how much material you get from each worker and the time he gathers it. Then you need to calculate just how much silver you are getting for your worker each hour and compare it with other workers. From those numbers, you should start making changes to which nodes you are gathering from. Scrapping those that offer low returns and in turn investing into those that offer a higher return. Remember that you do not lose your contribution points in you decide to scrap a node, you get the contribution points back and you can use them for a different node. So there you have it. A simple explanation on how to start getting money from workers and how to expand your worker empire and later optimize it to your full benefit. 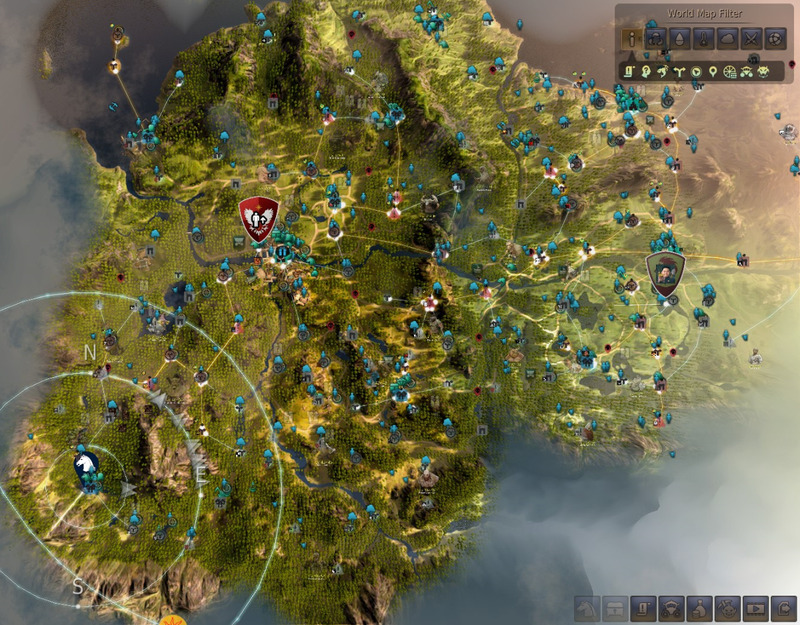 If you found this guide useful then please share it with your friends and allies in Black Desert Online. If you feel I forgot something or want to ask about something then please use the comments below. @Bubal, You are incorrect, you can post things to the market from your storage. nice guide, it's very helpful for me as a new player. Commerce have low interest in this game because you must sell production manualy yourself. You cannot set a worker to automatic sell the workers production. If you have 150 crate of iron, weighted at 50lt each, this take you a lot of time to transport all crate from your depot to the market manager, for a low return. This game do not let you create a real commercial empire. If you want money, you have to bash mobs and sell to market by example. You have no real other way to being rich. No, you can have many nodes connected and still reap the benefits. I have one node that is connected to four others and it works just fine. There are a few poorly translated texts still floating in the game. If you guys wanna make some money, you dont need to ask questions like "what is best to gather?" or "what are you gathering...?" or "How can i make money with X item?". Just go around the internet or in game and check whatever makes money and choose whatever you wanna make in order to get money. Then you can go after those specific items to maximize your profit, check bddatabase. For example: I wanna make money selling Honey Wine. I know each Honey Wine requires: 3x Cooking Honey, 2x Essence of Liquor, 2x Sugar, 6x Mineral Water. Searching up at database, i figured out that Cooking Honey got only one node in game, so i'm going after it with my CP and workers. Ok. Now i know that Sugar and Mineral Waters i can buy at a random material npc. Easy. Ok. Now there's Essence of Liquor left. I looked up and learned that i need Flour, Fruits and Leavening Agent to make it. I get all my workers to get cereal/wheat at every possible node in order to grind it and make flour (like potatoes) and maximize my resources, and i gonna do the same with fruits. I can get leavening agent at a random material npc. Done. I did everything in order to make money with Honey Wine. - The WHOLE idea its that you are able to do a lot of stuff and theres no "best way" to get money. Just manage your resources aiming for your goals and maximize your profit with it. Good luck. 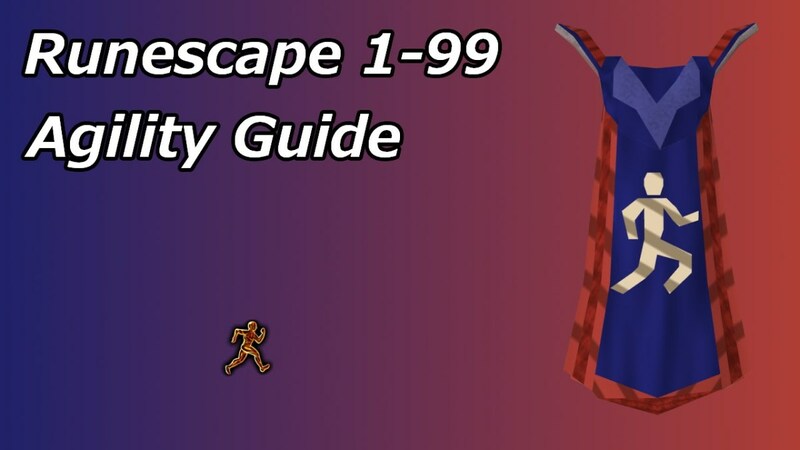 nice guide, it's very helpful for me as a new player. What are you gathering in the node south the river near heidel? One way is to process the copper and ore and then either use it for crafting or sell the ingots. Check out this processing guide for tips. How can i make money with the Copper and Iron ores? Babofka you have to go walk to the node and talk to the node manager first. It's how you expand the map in this game. Don't know what to say. It is still there, called Costa Farm. Maybe there are some differences between regions. Hi. Im kind of confused. 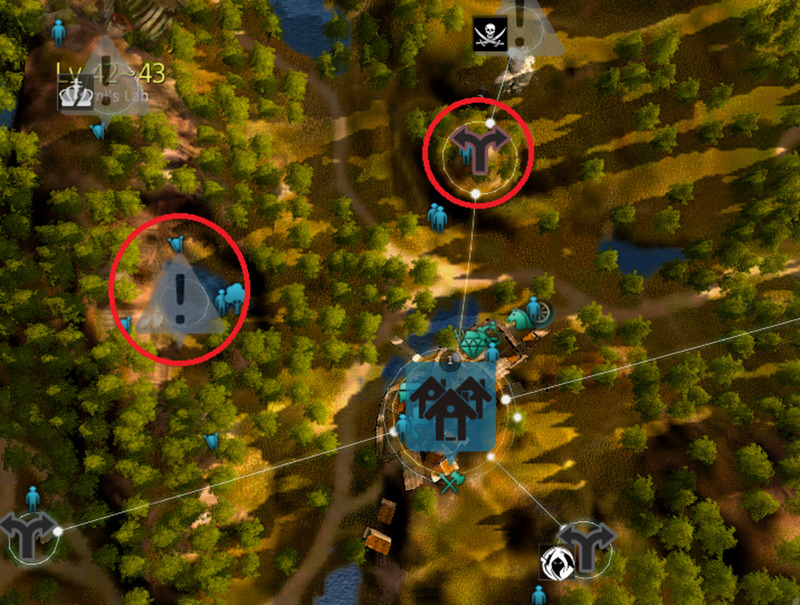 Cant find a node under Heidel that you suggest on the picture. 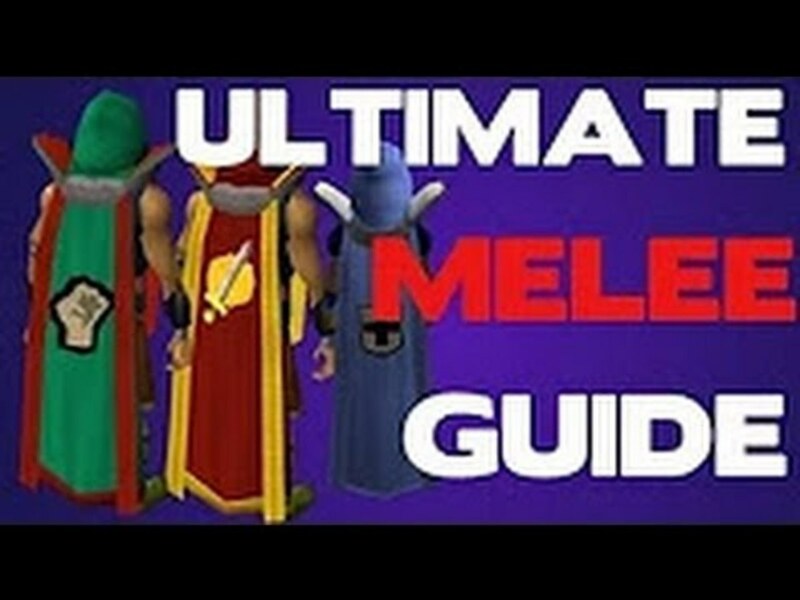 Is this guide outdated? The symbol is a bag with coins, not a chest. I got that wrong. You can sell the products at the market auction. There are auctioneers in every large town, which are located at the chest symbol on the map. But if you can hold on to the products I would use some of them for processing, such as flax and ores. You can then use workers to produce finished products, such as weapons and armor. Or you can sell the processed materials. The cooking honey is something you should store until you can cook honey wine as that's a great silver earner. Note that as your processing skill goes up, you start getting more material from your processing than at first. This guide is great and helped me build up a small empire of workers to gather resources for me. Thank you! I have a question, though. Where do I sell the resources? Do I craft certain items like the Honey Wine and, if so, what items?